Salt Lake City author Jessica Day George has spent a lot of time exploring the worlds of classic fairy tales. In her Dragon Slippers trilogy, she revealed a complex clash between humans and dragons. In Princess of the Midnight Ball, she offered a spin on the Brothers Grimm’s classic story of the Twelve Dancing Princesses. 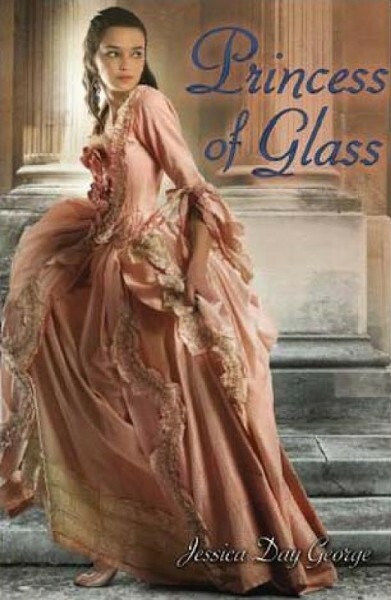 Now, in the Midnight Ball sequel Princess of Glass, she’s taking on Cinderella. Naturally, she’s doing so with her own unique spin. Poppy, one of the young princesses from Midnight Ball, agrees to participate in an “exchange program” to promote better relations (and possible political matchmaking) between kingdoms. But, a servant named Ellen becomes a pawn in a nasty sorceress’s plan for vengeance— and before you can blow a glass slipper around a young girl’s foot, a curious romantic triangle ensues. Who will live happily ever after? Join the author for a reading and signing, and pick up the book to find out.